Holi –the most exciting and celebrated festival of the country is on its way. Its’ that time of the year to be drenched and soaked in myriad of colours. Water Guns, Bright Colours, Refreshing Thandai and mouth-watering sweets add up to the spirit of enthusiasm in every corner of the country. Spreading colours and tossing water balloons surely is the highlight of the festivity, but one must ensure to avoid chemicals and reactive colours for the HOLI vibe to keep going. This Holi, save yourself the risk of various skin & health problems and opt for the exciting variation of environment-friendly colours available at HyperCITY. HyperCITY is offering Gel-based Holi Colours in stores at Buy1-Get1 offer for INR 120. Gel-based colours are soft on skin, easy to wash-off, and cannot be inhaled like powder colours. 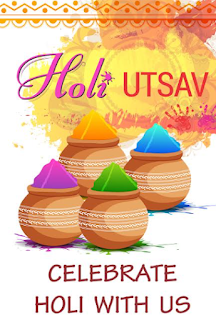 HyperCITY also offers a premium collection of “Utssav” colours that are made of high quality ingredients, are safe for children and helps save water. Explore Upto 50% off on Water Guns, Pumps, Holi Water Tanks (on select items) that will make your gathering even more gripping. Select from a surfeit of options available in appetizing munchies, sweets and savouries at HyperCITY. So let us all celebrate the day with laughter and joy amongst friends and families, making it a memorable one. Please see attached the press note for your reference, would be great if you could consider it for your portal. Do let us know in case of any doubts.